Erick Bennett of Maine: Vote for me for Senate because I was convicted of domestic violence. Sen. Susan Collins will not lose to Erick Bennett. Right, Maine? Right, Maine. Is the trend of Republican politicians living in fear of hard right primary challengers finally petering out, collapsing under the collective weight of those challengers’ nuttiness? Early 2014 indicators suggest yes, and not just because Sen. John Cornyn’s Texas challenger, Steve Stockman, has campaign stickers that imagine fetuses holding women’s uteruses hostage at gunpoint. 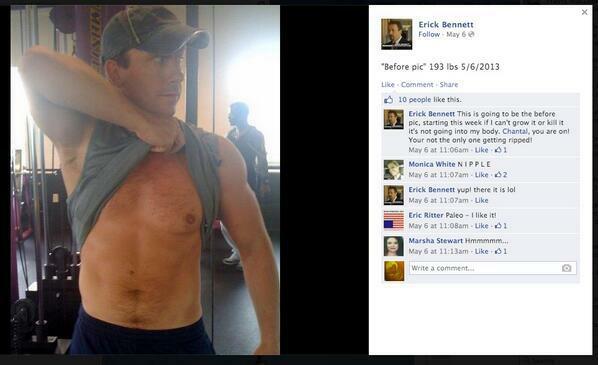 Now we also have the excitingly unhinged Erick Bennett, who is trying to primary-challenge Sen. Susan Collins of Maine. Bennett was convicted of domestic violence in 2003 after attacking his wife, who has since divorced him. While this sort of thing traditionally turns voters off, Bennett is employing an unusual strategy by wielding his conviction as evidence that you should vote for him in Maine’s Republican primary. Bennett’s right that he doesn’t back down: He made an impressive show of drawing out everyone’s misery by battling his conviction in court until the Maine Supreme Judicial Court shut him down in 2004, denying his claim that the court treated him unfairly. Bennett has also insinuated the Collins is a supporter of laws that supposedly railroad innocent men, though he’s dodgy about what laws he’s referring to. Despite the possibility that Bennett, if elected, could provide Maine residents with Rob Ford–levels of entertainment, Republican party officials in the state are already trying to distance themselves from him, pointing out unpleasant facts like he probably lied about working as a staffer for Gov. Paul LePage and some of his social media photography is ridiculous. Let us hope that the good voters of Maine are smarter than the American voters who gave us Ted Cruz instead of David Dewhurst, Sharron Angle instead of Sue Lowden, and Christine O’Donnell over Mike Castle. Let’s hope that the party’s ability to elevate any crank who claims he’s to the right of the more mainstream candidate will finally hit its limit in 2014. We will know by this summer.